TEFAF Maastricht is widely regarded as the world's premier fair for art, antiques and design. Featuring over 275 prestigious dealers from some 20 countries, TEFAF Maastricht is a showcase for the finest art works currently on the market. Alongside the traditional areas of Old Master paintings, antiques and classical antiquities that cover approximately half of the fair, you can also find modern and contemporary art, photographs, jewelry, 20th century design and works on paper. TEFAF was born in Maastricht, a picturesque medieval city in the southern Dutch province of Limburg. in the mid-Eighties, two existing fairs - Antiquirs International, for antiques, and Pictura Fina Art Fair, for Old Master paintings - merged to become a bold, new entity. In 1988 it was renamed The European Fine Art Fair (TEFAF) and relocated to the newly built Maastricht Exhibition and Congress Center (MECC). Since then, the fair has grown exponentially and today it is an unmiddable event for collectors, curators, museum directors, conservators and art lovers generally. More specialist attention in certain fields was reflected in the addition of dedicated sections over the years: starting with the Modern and Contemporary paintings section in 1991; fine jewelry in 1992; and Classical Antiquities, along with Books, Manuscripts & Maps in 1993. The latter has been reabsorbed in the section TEFAF Antiques in 2013. TEFAF Paper, a section devoted entirely to art works on paper, was established in 2006 in response to growing demand, TEFAF Design followed in 2009. TEFAF Maastricht continues to set the standard for excellence in the art market. Its nine sections are spread across 100,000 square feet of the MECC. A total of 35,000 objects are offered for sale. Two additional sections provide additional opportunities and inspiration for visitors and exhibitors alike. 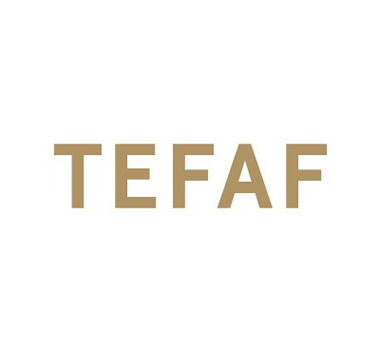 Since TEFAF Showcase has provided emerging galleries the chance to participate in TEFAF Maastricht for one year and to have the experience of being part of an international fine art event of this caliber. TEFAF Curated, an exhibition that will have its fouth edition in 2018, presents contemporary artists who are working in conversation with timeless art historical themes and motives.